Whether they’re layered on your neck, dangling from your ears, hanging on your shoulder from your bag, or stacked on your wrist, the chunky chain is in full effect. This trend came just at the right time. Summer is filled with dresses, light fabrics, and simple pieces. Adding something like a chunky chain is the perfect way to dress up your look whether it be during the day or for those nights out. If we could point a finger at who sparked this trend, it would be at Donatella Versace and her Spring Summer show. The runway was dripping in gold from the dresses to the fabulous chunky yellow gold jewelry. Some other designers dedicated to the chain are Givenchy, Balmain, and Gucci. Givenchy showed a simple antique designed necklace, doubled up to add thickness. 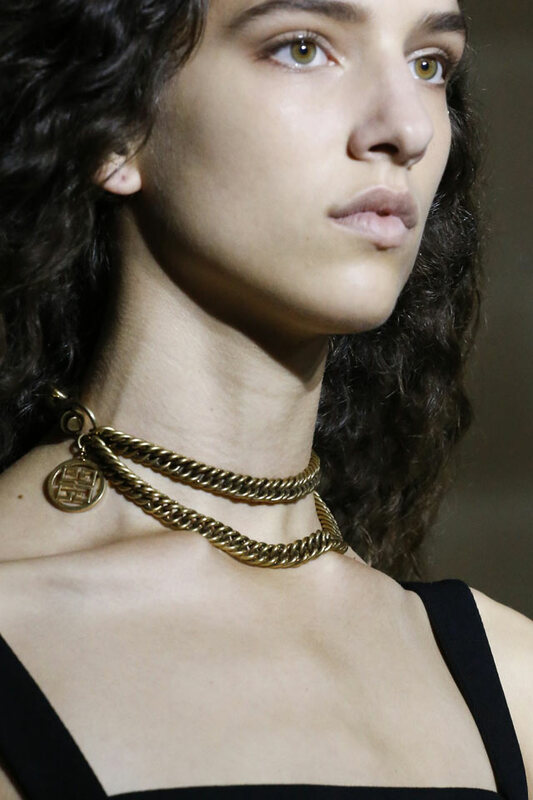 Balmain models wore medium sized chunky chains with cool circular chain pendants. The antique gold adds some cool character and is definitely a favorite of the season. 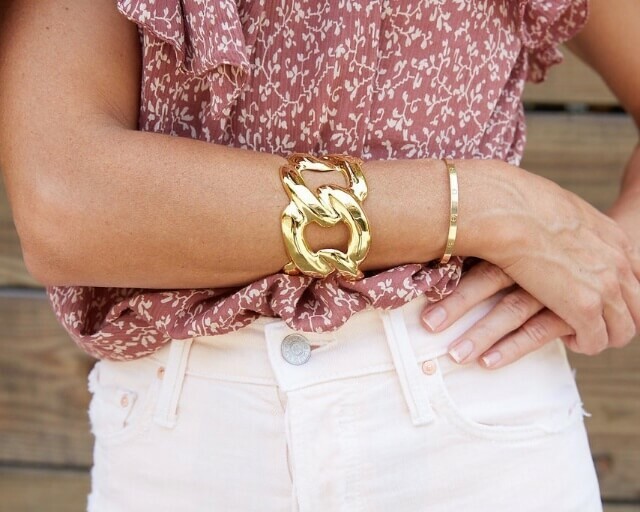 Chains are so versatile and an easy addition to any outfit. 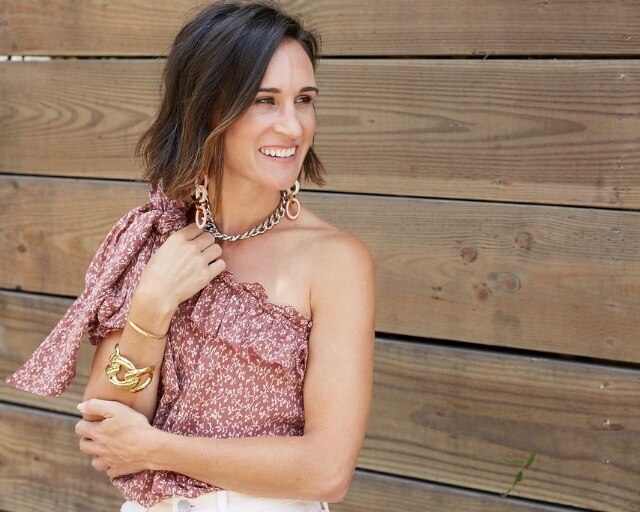 Pair a chunky earring with a long flowy summer dress. 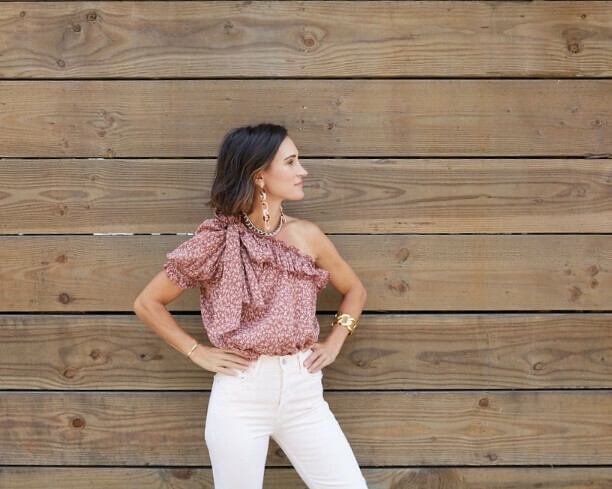 We love this look for backyard BBQ’s or a hot summer day at the market. There is nothing we love more than a simple jeans and tee look. Toss on a chunky gold chain necklace and you’ll instantly up the carelessly cool factor. Lastly, go chain crazy. Pile them on – the more the better. 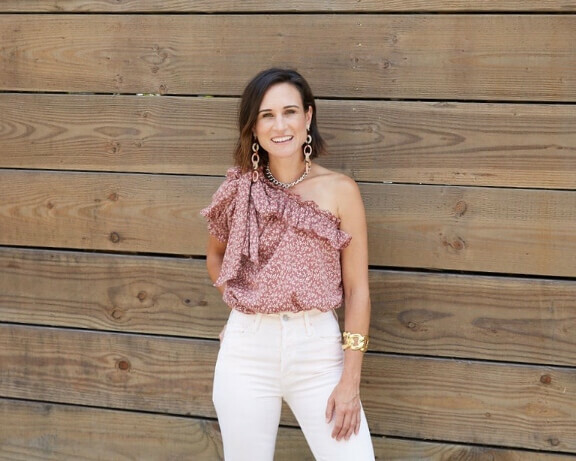 With a simple outfit, the addition of chain earrings, a necklace, and bracelets will add some cool contrast and elevate the look for an evening out. 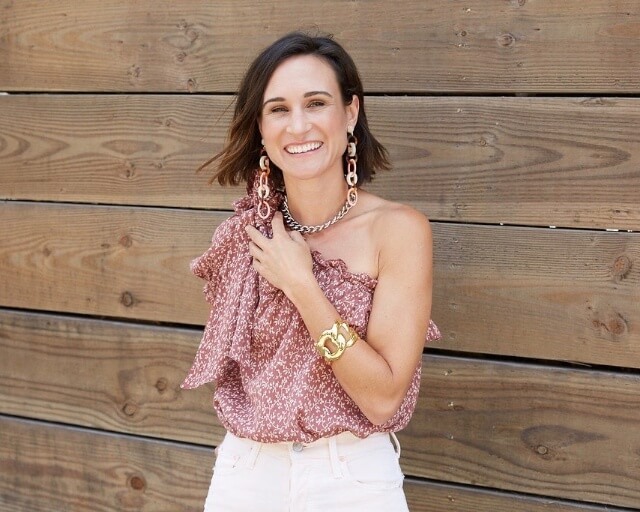 Whether you’re a gold girl, silver gal, or one of the daring few that love to mix and match, adding some chunky metal to your summer looks is a great way to amp up your outfit.